The Los Angeles District Attorney's Office determined Tuesday that officers who shot Ezell Ford in South Los Angeles in 2014 acted in self-defense and will not be charged criminally. The decision, revealed in a news release, brings to a close the family's push to see officers prosecuted for what they called an unjust shooting. Ford's mother said the family's "last bit of hope" had been crushed. 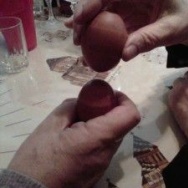 "My son, he had been in trouble before. But nevertheless, he didn’t do anything that would warrant him being murdered in the street like he was on the night of August 11, 2014," Tritobia Ford said Tuesday afternoon during a news conference at First AME Church's Allen House. "It was unwarranted. It was unjustified. 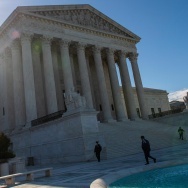 Prosecutors said Ford posed an immediate threat to his safety and his partner’s safety. "Our office has a daunting challenge each and every time there is an officer-involved shooting," L.A. District Attorney Jackie Lacey said in a news release. "In this case, we did everything we could to ensure a comprehensive investigation. Although the loss of Mr. Ford's life is tragic, we believe the officers' actions were legally justified and the evidence supports our decision." LAPD officers Sharlton Wampler and Antonio Villegas had been working the Newton Division gang unit together for five months when they encountered Ford on Aug. 11, 2014 as he walked away from a group on a corner. They asked him to stop. Instead, he sped up his pace. They caught up with him in the driveway of a nearby house. Wampler came up behind Ford, who had been diagnosed with schizophrenia and bipolar disorder, according to the DA's findings. The officer said he pulled back Ford's right shoulder to handcuff him. There was a struggle, with Ford and Wampler falling to the ground. Wampler said he felt Ford reaching for his gun and he yelled that to his partner. Both of them fired. Ford was shot three times. One shot from Villegas hit Ford's upper front torso, and another struck him behind the arm. On the ground, Wampler reached around and used his backup weapon to fire the third shot, which struck Ford in the back. The gun was close enough to leave a muzzle mark on Ford's back, according to the L.A. County coroner’s autopsy. The entire episode — from the moment Wampler and Villegas stepped out of the car, until the shots were fired — took 13 seconds, according to investigators. In its official letter to the LAPD declining to charge the officers, the DA's office said Wampler had "reasonable suspicion" to go after Ford. It also said it considered DNA evidence that showed Ford was on top of Wampler, trying to grab the officer's gun. Federico Sayre, the attorney representing the Ford family, said the DA's decision, while unfortunate, was not unexpected. On Tuesday, Lacey told the Associated Press that she called Ford's mother to explain the findings of her office's investigation and that no further action will be taken. The DA said Tritobia Ford was upset and that it felt "like she was reliving it all over again." At an afternoon news conference, Tritobia Ford spoke about that phone call. She said she told Lacey that she would never believe that her son reached for an officer's weapon, adding that he had encounters with law enforcement before and would never do that. 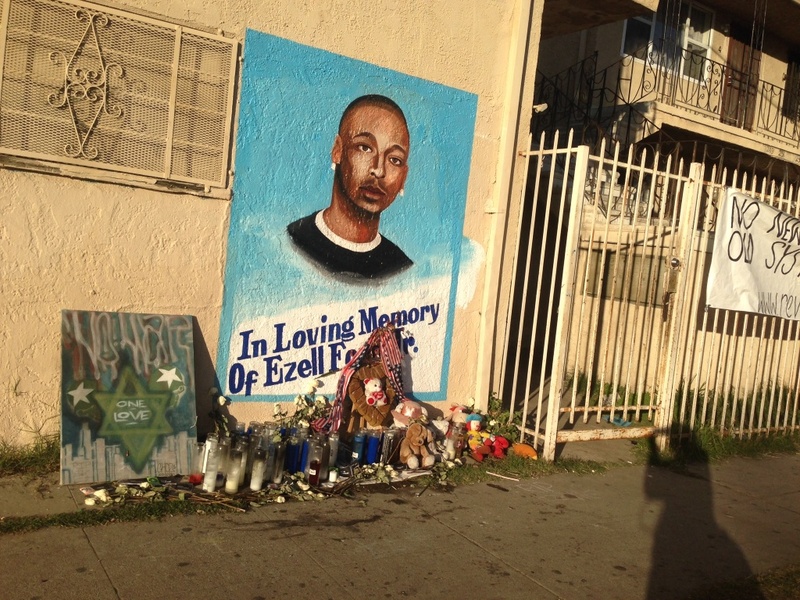 Ezell Ford grew up near 66th Street and Broadway. He was a promising young athlete until he got into legal trouble over marijuana possession. In 2008, he was the victim of a gang shooting. 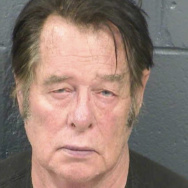 The following year, he began showing signs of mental illness, according to family members. Ford's death in South L.A. came just two days after a police officer in Ferguson, Missouri shot and killed Michael Brown in the summer of 2014. "The amount of time that it took for the DA to reach this decision, it's just mind boggling," Tritobia Ford said. "I just believe that she knew, she knew long before now that she had no intentions of filing charges. Why she lagged and hid and ducked and dodged as long as she did, it just doesn't make sense and it's not fair." Tritobia Ford is party to a state lawsuit related to the case — and reached a conditional settlement with the city of L.A. The agreement was reached in November and has been approved by the city's Claims Board. It has been awaiting action by the city's Budget and Finance Committee since last month. Each time an officer in L.A. County shoots a civilian, prosecutors from the DA's office review evidence to decide whether to file criminal charges. No charges have been filed in an L.A. County on-duty shooting since 2000, according to a KPCC analysis published in 2015. In the Ezell Ford case, the DA's office received the results of the LAPD internal investigation on May 11, 2015. Reaching a determination in the case was delayed by the need for additional investigation, former L.A. County DA spokeswoman Jane Robison told KPCC last fall. "Our office had to intervene in the federal civil lawsuit in order to obtain witness statements that were not made available to us," Robison said. Court records from the Ford family's civil rights lawsuit against the LAPD show the DA's office petitioned a federal court judge in January 2016 for access to sworn testimony from witnesses including LAPD Chief Charlie Beck and both police officers interviewed by attorneys in the Ford family civil case. The motion was granted in May 2016, and prosecutors received more than 1,000 pages of deposition transcripts of nine people. This evidence was reviewed by the DA's office, but remains sealed under a federal court protective order. "Although there were obstacles along the way, obtaining these statements was crucial to frame the entire picture of what happened the night Mr. Ford was shot," Lacey said in Tuesday's news release. The DA's decision on Tuesday aligns with Chief Beck, who had said an internal investigation led him to conclude that Wampler and Villegas acted within departmental guidelines in the use of deadly force. However, the L.A. Police Commission and its Inspector General Alex Bustamante disagreed with Beck, and in June 2015 found Wampler’s tactics — his decision to pursue and stop Ford — to be outside of departmental guidelines. Because of that, the officer's decision to use deadly force was found to have violated policy as well. Villegas generally acted within department policy, the commission determined, though it did take issue with the way Villegas unholstered his weapon when stepping out of the patrol car prior to the shooting along 65th Street near Broadway. LAPD Public Information Officer Tony Im declined to comment on the DA's announcement. In a statement to The Associated Press, the Los Angeles Police Protective League said that no officer wants to be in a struggle for their gun, and its officers must be allowed to protect themselves and the public. 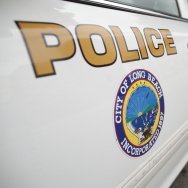 In August, the officers filed their own lawsuit in L.A. Superior Court. In the suit, Wampler and Villegas alleged they're being unfairly held back despite Chief Beck's finding that they acted appropriately. They called the L.A. Police Commission "an inexperienced group of political appointees" without the knowledge to make that decision. The Associated Press reported the LAPD said both officers are working in an "administrative capacity." In a statement Tuesday, L.A. Mayor Eric Garcetti said he accepts the DA's decision and reiterated support for the Police Commission's efforts to train LAPD officers in de-escalation techniques. He also praised Ford's mother. 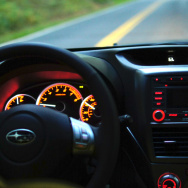 "Tritobia Ford has been a model for all of use throughout this painful process. A model of peace and strength, and an example of the grace and wisdom that I pray will bring healing to all who have been touched by this tragedy, and inspire everyone ... who is committed to making our streets safer for civilians and the officers sworn to serve and protect them." 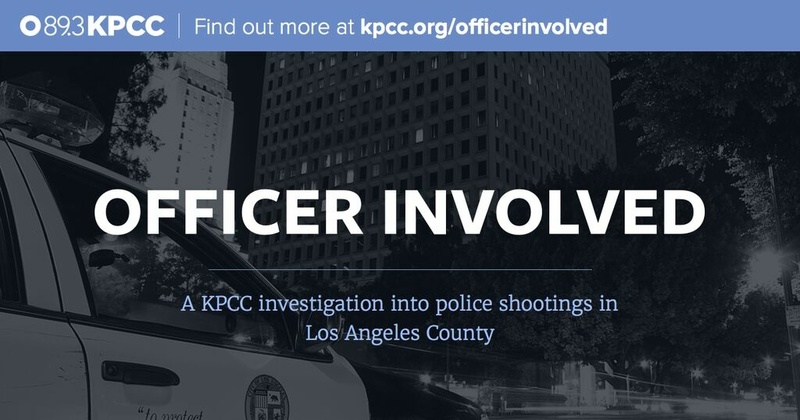 Read more from KPCC investigation into officer-involved shootings in Los Angeles County.